You need the best solution for your personal idea or business venture. Allow us to do a needs analysis to determine the best option for you. Of course a website is important for any business, but not every person or business is ready for one. There might be cheaper, simpler, or better options which will help you meet your goals. We have told people not to buy websites before, but more frequently we help people purchase the right website. Contact A Web Advocate Today for FREE to determine your needs! Smashing Magazine just released a list of 100 FREE WordPress themes. WordPress is the most popular blogging platform on the planet and it is quickly becoming one of the most popular Content Management Systems for non-blogs. 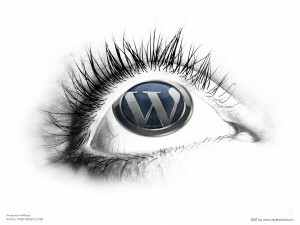 WordPress is a great way to setup a website, quickly, and cheaply. Sometimes even for free! Contact a Web Advocate today to ask us how WordPress could help you! Don’t Spend $$$ Thousands on a Basic Website! Web Advocate came up with a new spin on the old Splash Page. Briefly, the old meaning behind a “splash page” was a single page with very little information on it. Frequently it contained bad Flash Animation and a “Click to Enter the Site” button. Just a note, the old splash pages are terrible for Search Engine Optimization and they are even more terrible for User Friendliness. For individuals, small businesses on a budget, or large businesses testing a single idea, a Social Media Splash Page is the least expensive, simplest, and fastest way to go. Now, all you have to do is spend the time conversing with people on Facebook and Twitter, or other Social Media outlets, and using your branded email address on all business cards, brochures and advertisements. You did read, “5 Reasons Your Business Should Not Be Using Social Media” first, right?! Who Won’t a Social Media Splash Page Help? If a business wants to add lots of content to their website, blog on their site, add pictures or galleries, sell products, or edit the website through a Content Management System (like WordPress) then a Social Media Splash Page is not for them. However, there are still great options to fulfill your businesses needs. Please contact a Web Advocate today to determine the best web strategy for your business. We will get back to you in 60 minutes or less. CFO magazine ran an article in their November 2009 magazine titled, “Buy It for Me: Companies are increasingly using third-party procurement services, even for essential purchases”. “Human resources, technology, tax, and even accounting — companies have grown comfortable with buying these services rather than tackling the tasks themselves. Are they also becoming more comfortable with buying the very act of buying? Hiring a Web Advocate should be your top priority before buying a website. You should not try to become an expert on web design or development before purchasing a website. 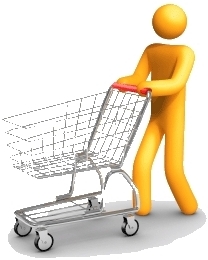 You simply need a “procurement outsourcer” to assist you with the very act of buying a website. We are experts at breaking down the most complex technological discussing into understandable, real world language. A web advocate is a Professional, Personal Shopper. Have you ever wanted a personal shopper to take care of your clothing, grocery, or other purchases? We won’t pick out your next shirt or pair of pants, but we will help you find the perfect web designer, or web firm, to meet your needs. How Do I Find a Web Advocate? Contact Us right now, and you will hear from us in 60 minutes or less!